You may preview any of our available rentals for FREE! Our leasing consultants will be happy to show you our available rental homes at no charge to you. No rental property will be held vacant for more than two (2) weeks, unless approved by Rental Home Management Services, Inc. If you decide to apply to rent one of our properties, there is a $50.00 per adult application fee that is "non- refundable." This must accompany the completed application form provided to you by our company. Incomplete applications or applications submitted without proper application fees will not be considered and application fees will not be refunded for incomplete applications. Our leases are currently prepared by an Attorney at Law to comply with Forida laws. If you are the successful leasing candidate, there is a one-time lease closing cost of $60.00 to cover our administrative cost and the cost in preparing your lease. Upon receipt of your rental application and application fee, you can expect and hereby authorize that we will (1) check your credit report; and (2) check the public records for any past evictions; and (3) verify your employment (income); and (4) verify your previous land lord references; and (5) complete a criminal background check. Please read our resident selection criteria below. We would encourage you to apply (except felonies) and let us decide if we can help you with your rental needs. Co-signers may be considered on an individual basis. Once you have been notified of your approval, you must place (at a minimum) holding funds (by cashier's check or money order), equal to at least one month's rent, within 48 hours of your approval notification. Once approved and payment of the holding funds are paid your holding funds are non-refundable. In the event that you fail to enter into the lease agreement or refuse to take possession of the property on or before you applied for beginning rental date, you shall forfeit these funds as liquidated damages. Due to the high demand for rental homes, we will not hold the property you applied for off the rental market for more than 48 hours unless you provide the required holding deposit. If you do not comply with this requirement, we may rent the home you applied for to someone else, and your application fee is non-refundable. All applicants must see the interior of the property before an application can be submitted. The property must be accepted in, "AS IS" condition before an application can be accepted, except where there is written agreement for maintenance or repair items. Any such maintenance or repair request (if any) must be written and included with your application under "Other Items Requested", in the contract to lease portion of your application. If your maintenance and repair request are acceptable to Rental Home Management Services, Inc., then that agreement will be written in the lease or lease addendum. Verbal representations are non-binding. In the event that the manager shall receive two or more unrelated applications for the same property, the applicant understands the manager may select the applicant desiring the property in "AS IS" condition, over another applicant requesting maintenance or repairs. In all cases, the application fee is Non-Refundable. All initial funds, the holding funds - first months' rent and security deposit must be paid by cashier's check or money order payable to "Rental Home Management Services, Inc. (RHMS)". Subsequent months thereafter may be paid by check. Applicants must have a combined gross income of at least (3) times the monthly rent. Incomes must be verified in writing, applicant may provide recent pay stubs. A minimum of two years residential history is required. Rental history must be rated satisfactory or better, with no record of evictions. We reserve the right to require a co-signer and/or a higher security deposit. Co-signers are accepted at the managers discretion only, must meet all requirements, and must reside in the State of Florida. Self-employed applicants may be required to produce upon request two (2) years of signed tax returns or IRS 1099 forms. Non-employed applicants must provide proof of income. Credit history and/or Civil Court Records must not contain slow pays, judgements, eviction fillings, collections, liens or bankruptcy within the past three (3) years. We will not provide you with the credit report or tell you of its contents; however, we will provide you with the name of the credit reporting agency so you may receive a copy from the credit bureau. All information collected for the approval or denial of this application is considered confidential in nature and for company use only. If you have been convicted of a felony within the past (5) years, this is cause for rejection. Applicant must not have a felony record that was adjudicated guilty for the past five (5) years, or any felony conviction of any length of time for any drug (manufacture of and/or selling) related, sexual related, murder related or arson related crime. Valid current photo ID documentation (driver's license, military ID, or State ID) is required. Previous rental history reports from previous landlords must reflect timely payment, sufficient notice of intent to vacate, no complaints regarding noise, disturbances or illegal activities, no NSF checks, and no damage to rental property or failure to leave the property clean and without damage when you left the property. Current occupancy standards are a maximum of 2 persons per bedroom, except for infants under 4 years of age. However, some city and county municipalities and/or homeowners associations prohibit more than two (2) unrelated adults to reside in a single family dwelling unit. 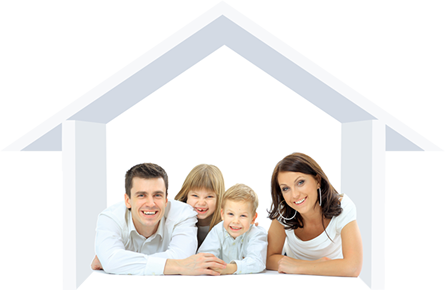 Consequently, Rental Home Management Services, Inc. also prohibits the rental of a single family dwelling to more than two (2) unrelated adults. No pets (with the exception of medically necessary pets) of any kind are permitted without the specific written permission of Rental Home Management Services, Inc. in the lease document, (a pet addendum to lease), and an additional Non-refundable pet application fee of $300.00 per pet. Some properties may require higher pet fees or higher rent amounts. If a higher pet fee or rent amount is required, you will be notified at the time of the application. The following pets will not be accepted under any circumstances, GERMAN SHEPHERDS, DOBERMANS, PIT BULLS, CHOWS, and OR ROTWEILLERS . Some Homeowner and Condominium Associations may require a separate application. If so, you must also apply separately to such association and approval by the homeowners or condo association is a necessary prerequisite to our approval of your application. Security deposits are security for faithful performance by tenants of all terms, covenants, and conditions of the lease agreement and tenants may not dictate that the security deposit be used for any rent due. Unless claimed due to a breach of lease or damages, the security deposit is refundable when the tenants move out of the property at the expiration of the lease terms, except that $200.00 of the deposit is non-refundable as an administrative fee to Rental Home Management Services, Inc. paid upon the closing of the lease agreement. Any exceptions to these criteria will need to be submitted in writing to Rental Home Management Services, Inc. for consideration. If approval is then given for such exceptions, additional security deposit, co-signers and/or additional "higher" rent may be required. Rents quoted are the rental amounts due if paid on time, (on or before the 1st of each month by 5:00 PM) otherwise; the rent is at least $50.00 more that month and possibly higher if rents are severely delinquent. Keys will be released on the first (1st) day of occupancy as stated in the lease agreement. Request for keys earlier must be accompanied with additional pro-rated rent and must have Rental Home Management Services, Inc.'s prior approval. Maintenance and Repair - When you rent a home from our company, we strive to ensure that all items are in good working order. Please report any maintenance or repair request during your first 5 days of possession. Multiple Applications - It is entirely possible that Rental Home Management Services, Inc. may receive multiple applications from unrelated individual applicants on the same property at approximately the same time. If such is the case, we will process all applications for consideration as to what we (in our sole discretion) deem the best applicant, which may not necessarily be the first application received. In such cases, more than one applicant may be approvable, however only one will eventually be approved. Because we represent the best interest of the rental property, we will accept the best application, which may not necessarily be the first application received. In order to evaluate the various applications it is necessary for Rental Home Management Services, Inc. to expand time and cost in credit reports, criminal reports, and other administrative cost. Hence, our policy that the application fee is Non-refundable. If your application is approvable, but not the approved one for the property for which you are applying, you may consider applying for other available properties that we may have, without payment of an additional application fee. Leasing consultants- Rental Home Management Services, Inc. provides leasing consultants to grant you access to preview our properties, to distribute rental information, applications, rental process and application disclosures and contracts to lease our properties. The leasing consultant will also submit your application to RHMS for processing. The leasing consultant is not authorized to negotiate on behalf of RHMS. Verbal representations are non-binding. Once your application is submitted to RHMS, the approval/denial and negotiation process (if any) will be handled by the property manager in charge of the property for which you are applying. The following pages 5, 6 & 7 contain the home rental applications, the contract to lease and the disclosure of information on lead based paint and lead based paint hazards. // TODO is this needed here?